Implementation of modern technology in our daily life is a credit to digital transformation success. Research shows that only companies with a culture open to changes can leverage digital transformation to the maximum. For a successful digital transformation, the CIO of the company has to be more involved with the changes in business vision, IT infrastructure, and investments. 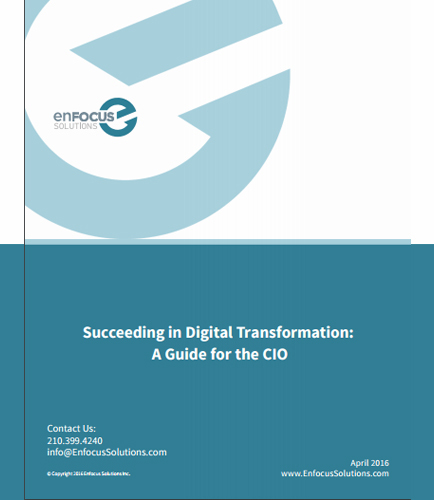 The CIO has to understand the process completely as well as take the initiative to be the leader in the whole structural conversion to digital transformation. Customer obsession is the need of the hour for digital transformation success. Digital disruption of mobile experience has enhanced customer’s expectation. Collaboration within the company can strengthen customer experience, the solution to successful digital transformation. Swift analysis of customer expectation by experimenting with new information types. Technology and business leadership are the major criteria for the CIO towards embracing digital transformation.